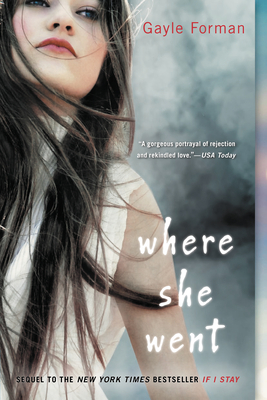 Gayle Forman’s Where She Went picks up with Mia and Adam three years after the accident and is told from Adam’s viewpoint. Mia is excelling at Juilliard and Adam is a bonafide rock star. Their dreams seem to have come true but they are no longer together. Then one fateful night Adam runs into Mia and time stands still. They revisit Mia’s tragic past and hint at a possible future. This sequel to If I Stay had me holding my breath to see what would happen next! Picking up several years after the dramatic conclusion of If I Stay, Where She Went continues the story of Adam and Mia, from Adam's point of view. Ever since Mia's decision to stay - but not with him - Adam's career has been on a wonderful trajectory. His album, borne from the anguish and pain of their breakup, has made him a bona fide star. And Mia herself has become a top-rate cellist, playing in some of the finest venues in the world. When their respective paths put them both in New York City at the same time, the result is a single night in which the two reunite - with wholly satisfying results. And don't miss Gayle's newest novel, JUST ONE DAY and the forthcoming companion, JUST ONE YEAR.